﻿ How To Create A Subform From A Table In Access 2016? 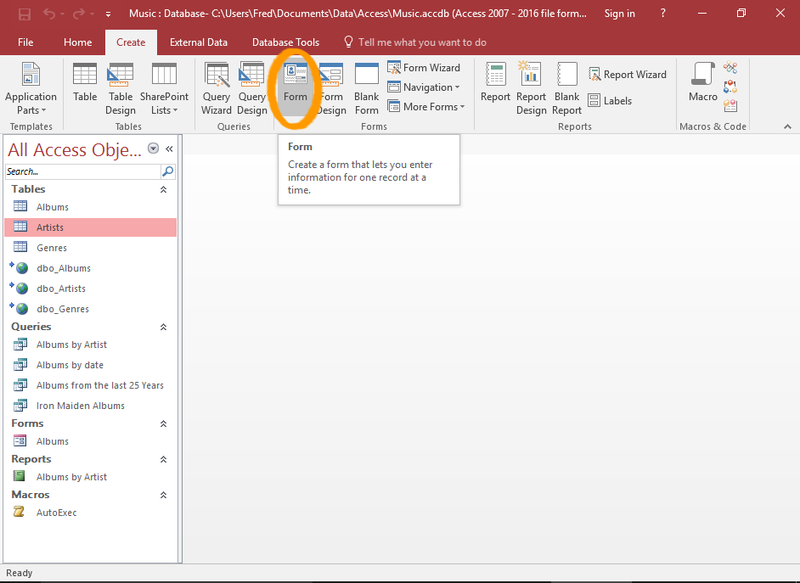 How To Create A Subform From A Table In Access 2016? Do you know in Access using a table you can create a subform i.e a form under a form? Want to know how it is to be done on Access 2016 application then read the below mentioned steps. Before that you must needs to have complete knowledge on what this subform is actually. Well subform is a form that is nested inside of another form. This contains data that is associated with the records which is currently open in the main form. Eg: if you have form that shows an order and a subform that displays each item within the order. To create such you just needs to stick with this post and follow the step by step guide to create a form and subform from a table. 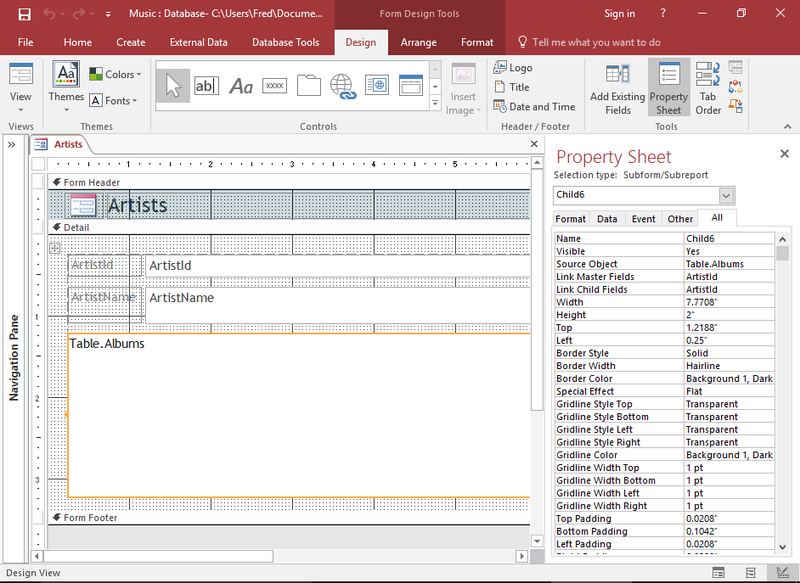 From the left navigation pane, select the table to give a base to your form and subform. After then select the Form from the ribbon on the Create tab. After the first steps, instantly the Form and its Subform are gets created and displayed in layout view. 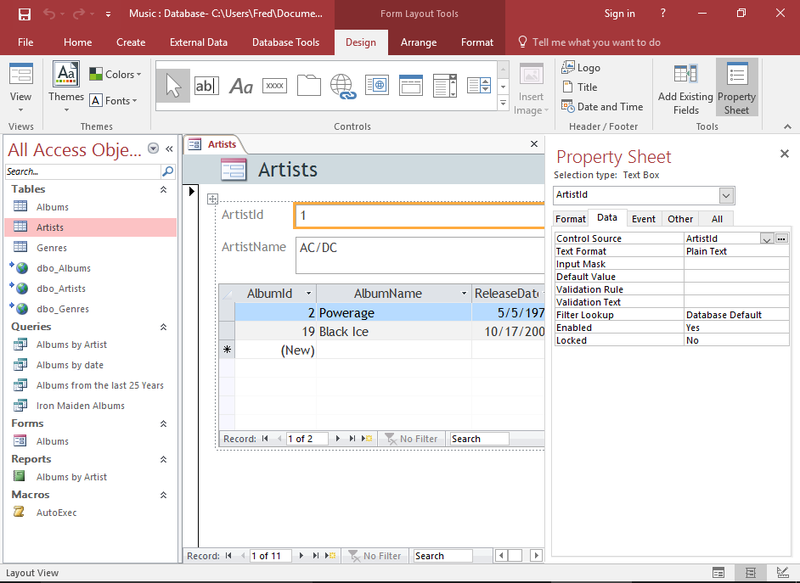 The subform will appear in Datasheet view within other fields of the main form. Now watch out! How the subform appears in the various view and also how it gets its data. Click to the form view icon in the bottom right corner of Access to switch into form view. 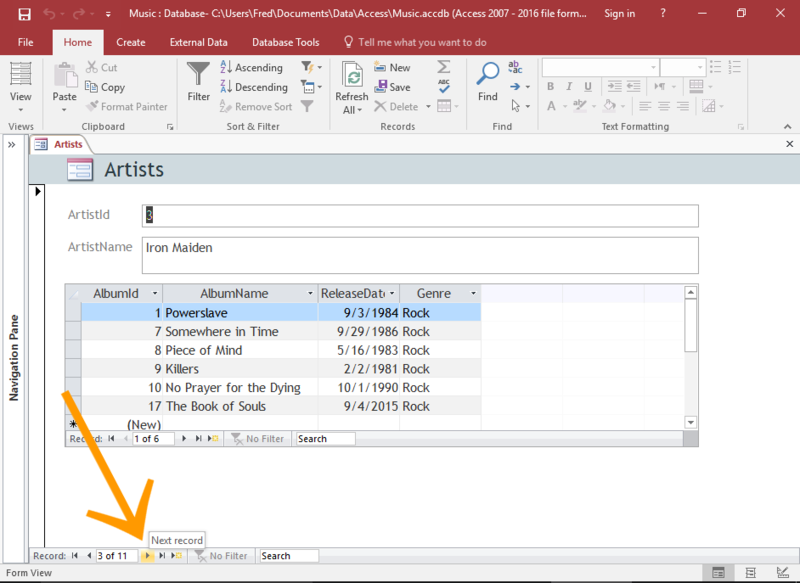 Search through the main form by clicking the Next Record icon at the bottom of the form. As when you navigate through the records, the contents of the subform will update to only those particular records that are associated with the parent form. To view your subform in design view, switch to design view by clicking the Design View icon in the bottom right corner of Access. the subform displays as a box, with its data source. You can also use the design view to customize the subform like you can open the property sheet and make adjustment to various properties as needed. 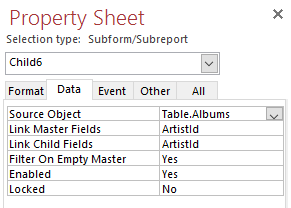 Tapping to the Data tab of the property sheet will explore the subform's source, as well as the field that links the subform to parent form. The Source Object Property decides what objects is to be displayed in the control. The Link Child Fields property specifies which field/fields in the subform link the subform to the parent form. Link master field property decides which field/fields on the parent form link the parent form to the subform. Making such subform will work only if that table is part of a relationship. When the Access sees that there is some relationship between them then hopefully it creates the subform automatically. If you are making a form from a table which is not a part of relationship, then there is no need for a subform. Subform is sometime called to as a one-to-many form, as it display the many part of a one to many relationship. It is also known as suddatasheets.